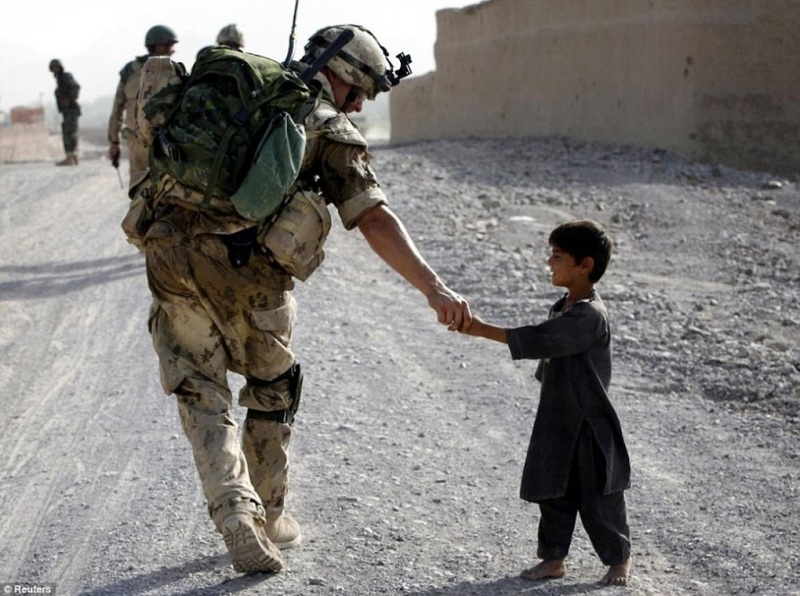 The War in Afghanistan refers to the intervention by North Atlantic Treaty Organisation (NATO) and allied forces in the ongoing Afghan civil war. The war followed the attacks on September 11,2000. The aims of the war were to dismantle al-Qaeda and denying it a safe basis of operation in Afghanistan by removing the Taliban from power. U.S. and its allies drove the Taliban from power and built military bases near major cities across the country. Most al-Qaeda and Taliban were not captured, escaping to neighboring Pakistan or retreating to rural or remote mountainous regions. As of 2013, tens of thousands of people had been killed in the war. Over 4,000 ISAF soldiers and civilian contractors as well as over 10,000 Afghan National Security Forces had been killed. In October 2014 British forces handed over the last bases in Helmand to the Afghan military, officially ending their combat operations in the war. A majority of the people living in South Asia are farmers who make lots of cashews, millet, peanuts, sesame seeds, and tea. Lots of natural gases are there, but these resources are usually underdeveloped. Many people there raise cattle and sheep. The cattle are raised for their milk or to carry things in Hindu areas. The United States has been at war in neighboring Afghanistan since 2001 and has also been a major economic trading partner with the countries of South Asia. Complicating the situation, the United States has developed an extensive trade relationship with neighboring China. Economic advancements and global trade have catapulted the countries of South Asia onto the world stage.